Look no further for the perfect executive gift. Heavy duty gift box includes a stainless steel 5 oz. 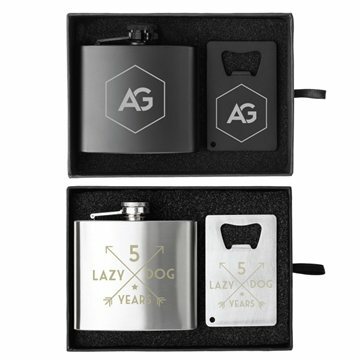 flask, credit card man card bottle opener, and Laser Engraving on both items.